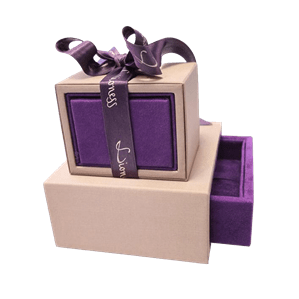 Speaking of luxury packaging means going beyond a simple product: it means evoking experiences, feelings, emotions that must make the frame of your best products unique and inimitable. 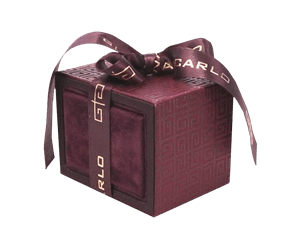 The luxury packaging must arouse synesthetic sensations, which involve all the senses in presenting the precious content: starting from the jewels, passing through the cosmetics, the clothing industry, the fine food and wine industry. The secret of quality luxury packaging lies primarily in the materials. The choice is very delicate and must focus on particular materials, not necessarily expensive but able to give unforgettable sensations to touch and sight. True packaging quality lies in evoking a multi-sensory experience, and materials play the most important role. Obviously, colors must receive the same attention reserved for the choice of material. In luxury packaging, the fundamental rule is to avoid too bright contrasts, focusing on soft and delicate colors, or on the timeless elegance of black. There is an unlimited choice between pastel tones, gradations of ochre and blue, pink and purple. A touch of class can also come from the printing of your logo embossed on the fabric, creating a geometric pattern that captures the eye in its arabesque. 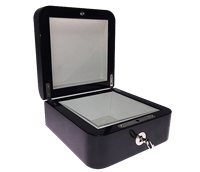 To Be Packing has been operating in the luxury-packaging sector for over fifteen years, offering innumerable solutions to satisfy even the most demanding customers. From the materials, to the colors, to the design, to the endless possibilities of personalization, the creations signed To Be Packing combine elegance and originality in exclusive products, with that extra touch. 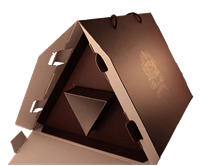 The quality of the luxury packaging designed by To Be Packing is evidenced by the projects we have created for prestigious customers from different sectors of the market. For Crivelli the project was really engaging, starting from the creation of cases and exhibitors and ending with the logistical support for the suppliers. 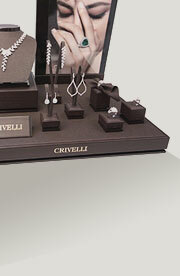 Speaking specifically about luxury packaging, what stands out in the Crivelli project was the ability to create a basic line with extremely refined details that are entirely customized to the specific needs of the customer. For Arzee-Arzano we instead focused on precious materials and minimal lines, extremely elegant in their essentiality. In this case, the real key to the project was the complete personalization of the final product, with the choice of all the details according to the jewels to be enhanced. The result was an innovative concept worthy of the name of the best Made in Italy. 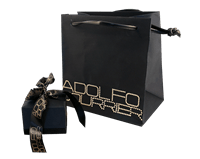 We conclude the overview on luxury packaging for jewelers with the Adolfo Courrier project, an experience on generis that has seen the creation of a highly original and alternative packaging. Silk printed with refined patterns, colored cubes, white oak couvettes are the key elements of an innovative project. Not just jewelry: even clothing, leather goods and footwear; here are 3 of our most ambitious luxury packaging for the fashion industry. For Zilli, French maison specialized in clothing for classy men, we have created a set of cases: materials, colors and finishes - such as golden tags, external lacquering, and special interiors - have been able to gracefully exalt the prestigious products of the maison. With Billionaire, creatives, graphics and commercial collaborators worked closely together to create wooden cases that recall the shape of small precious trunks; elegant colors, golden details and personalized interiors immediately won over the customer. Acid, on the other hand, required designer boxes for its leather and titanium belts, 100% Made in Italy; that's when the coated and printed caskets were born, with interiors designed specifically to comfortably accommodate all the components of the belt. Even the products of the best kitchens and wine shops want their luxury packaging: this is how the projects were created for our customers in the fine food and wine industry. La Via del Tè, a historic Florentine company, has always been attentive to the packaging of its products; for this project, we have commissioned the creation of some gift packs: ad hoc interiors, expertly mixed materials, colors capable of enhancing the refined content of small boxes. Originality is certainly the distinctive feature of the packaging created for Cornali; to propose its selection of fine wines, we have designed a creative packaging, with an unusual shape, capable of containing several bottles at the same time. The result was a success on all fronts. We conclude the overview of the applications of our luxury packaging quoting 2 projects concluded in the cosmetics field; you know, make-up and cosmetics are very much focused on the design and attractiveness of the packaging, that's why we have researched the best stylistic solutions that could capture the attention of the final customer. To Nouba, a fresh brand with clean and young lines, we have proposed several gold clutch bags with leather laces, personalized papers and precious fabrics: the best to highlight its products of the highest level and win over consumers. 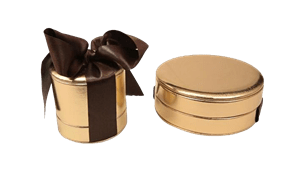 For the Italian artist Francesca dell'Oro, dedicated for years to the search for new fragrances, a special packaging: cases with different shapes and textures, able to store the perfumes and reveal all their preciousness at first glance. Do you want to discover all our solutions for luxury packaging?